Some countries are more affected by the crisis than others, and Italy is among them. 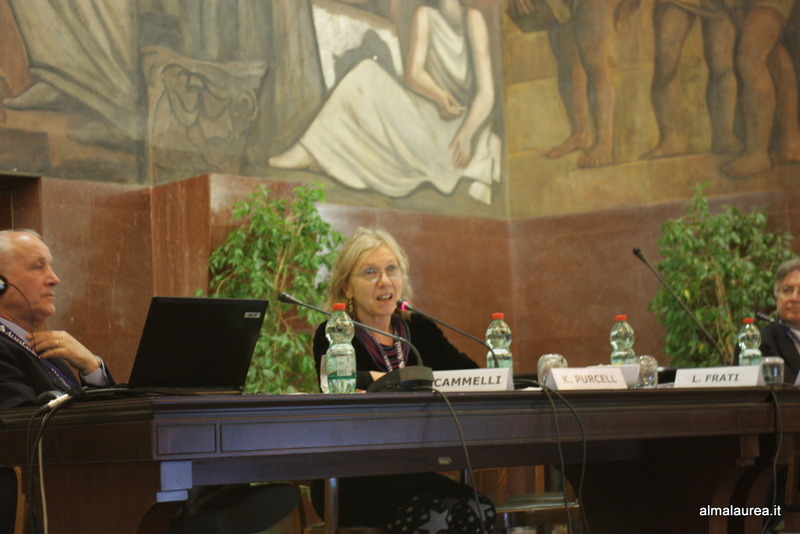 This is the opinion of Kate Purcell, from the Istitute for Employment Research, University of Warwick. 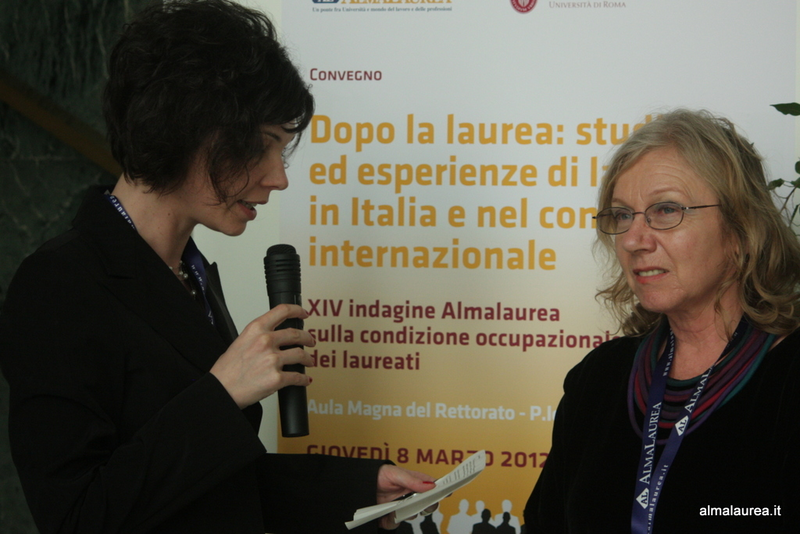 In Rome, at the Conference “After the higher education degree: paths of study and work-based learning in Italy and in the international context”, Kate Purcell commented on the findings of the 14th AlmaLaurea Survey on the Graduates’ Employment Conditions and referred to “worrying” figures: the youth unemployment rate, which is 30%, “could simply be the effect of recession which is certainly hitting all European countries”. This should also be combined with the demographic downturn that Italy has experienced for many years. Kate Purcell thinks that this subject falls within the Government’s sphere of competence. “If I were a Minister – she says – my priority would be to look around and see how one could create high-quality jobs to absorb the Italian graduates”. Her comment on AlmaLaurea is that: “It is an incredibly successful institution”. The following is the full text of the interview. Watch an excerpt from our interview. The 14th AlmaLaurea Survey on the Graduates’ Employment Conditions highlights that the conditions of the Italian graduates have worsened over the previous years with respect to employment rates, wages and job security. How would you comment on this? “The findings are rather worrying, really, because – although they reflect something that is happening much more widely in the world generally and in the United Kingdom – nonetheless, 30% youth unemployment is very high and it does suggest that the economy here is not absorbing the young people who are coming out and enabling them to use the skills that they require. Now, there are all kinds of reasons why that might be the case, and it could be simply that the effects are exacerbated by the current recession which is certainly affecting all European countries, some more than others. Other European countries also have got very high youth and graduate unemployment but it does seem as if – given that you in Italy have got a demographic downturn – there are less young people in that category than there were in previous generations. This suggests that Italian graduates are particularly challenged at this moment. If I were a Government Minister, my priority would be to look around and see how one could create high-quality jobs and how the companies that have the ability to produce could offer some employment opportunities to this workforce”. Can the AlmaLaurea system help increase the value of graduates in the job market? “AlmaLaurea is an incredibly successful institutions, and one of its great successes has been to help to match Italian graduates and employers who are seeking people with their skills. As I understand it, many of the employers on the AlmaLaurea database are not Italian employers, they are multinational employers, they are employers from other countries, so although they are looking very carefully at Italian graduates and maybe think that they have the skills and knowledge that they want to have, this can be a benefit only to some graduates, namely those who have the particular skills that these particular employers are seeking”. How does the graduates’ situation in the United Kingdom currently look like? “Our situation is similar to the Italian one. The unemployment rate – which currently ranges between 7% and 8%, but could even be higher – is a very high one for the UK standards. In this particular moment, I think it is above all a product of recession and I expect it will start decreasing as the country recovers from the impact of the crisis. However, there are still many question marks on the ability by our country to sustain the expansion of higher education. Some very radical events have taken place in the U.K. and the Government we currently have pays greater attention than the previous one to the costs of this expansion. We should ask ourselves very difficult questions, such as who is supposed to pay the costs of education”.